Apex Management Group serves to provide Homeowner’s Association clients with a higher level of professionalism, service and expertise. It is a privilege and not a right to be entrusted with the management of your community. If we are fortunate enough to earn your business, we will put forth our best efforts at all times to achieve and maintain that level so that we are known as the best in the community management industry. With an array of professional management and accounting services, our specialists work to meet the individualized needs of each and every client. We serve with the highest possible ethical standards and commitment to excellence. Customer service is not just a department at Apex it is our business. With our premium technology solutions, we are able to provide faster response to homeowner inquiries and provide better service to our board members. There are no “cookie cutter” approaches here. Our managers are conscious of the needs and goals that our board members have for their community. We work directly with our clients to ensure they receive the best service possible. Our team of experienced property managers has the knowledge, experience, and skills needed to meet the unique requirements of communities. We also work with third-party CPA’s and attorneys to ensure our board members get the most objective advice and professional opinions. Apex Management Group’s philosophy is to preserve the value of your community and one of our largest personal investments – your home. We believe that a professional management company should be an extension of the community, while instilling trust between the Board of Directors, the members, and the management team. If you are looking for new management, please contact us to learn more about how Apex Management can help your community. Apex is invested in the communities that we manage and in our employees. We understand the VALUE that a skilled and educated community manager brings to their clients. For that reason, we participate in on-going education and training to ensure that we always stay abreast of current events and legislation that affect our industry. In addition to being awarded the CCAM® (Certified Community Association Manager) designation by CACM (California Association of Community Managers), each of our community managers have been awarded additional, specialized designations in Portfolio Management and New Community Development. 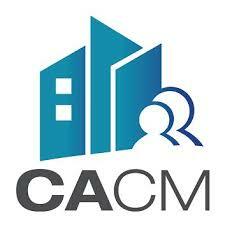 In order to be awarded the Certified Community Association Manager (CCAM) designation by CACM, a manager must have successfully completed an intensive educational curriculum, which included instruction and testing in community association law, financial management, association operations, communications, and ethics. A standard of practical experience in the industry also had to be achieved prior to certification.